Wednesday Wrap: B&O Apple Watch, Tidal selling CDs, Xbox One updates and more | What Hi-Fi? Bang & Olufsen's BeoMusic app for Apple Watch, Microsoft's biggest ever update for the Xbox One, Roberts unveiling a new radio/Bluetooth speaker, Burberry launching a music channel on Apple Music and Humax teaming up with Netflix - it's What Hi-Fi? 's Wednesday Wrap. We start with B&O and its announcement that the BeoMusic app will be available on the Apple Watch when it’s updated with watchOS 2. 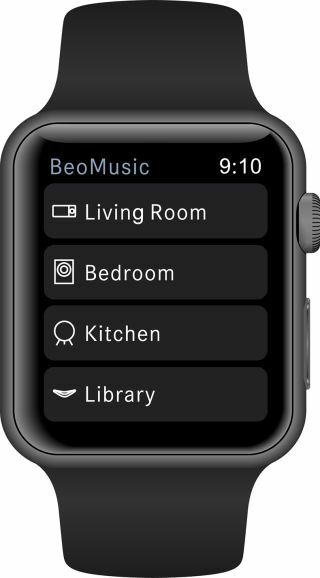 The app will allow users to control their BeoLink Multi-room set-up and select which rooms they want music to be played in. A one-touch gesture on the Apple Watch, iPhone, iPad or B&O remote can also put the system into standby. The BeoMusic app for Apple Watch will be available for download at the end of September 2015. The Xbox One is set to receive its biggest update yet this November, with a raft of changes. Upon release of the update, gamers will be able to play over 100 Xbox 360 games, with “hundreds more” to be supported in the following months. Users will be able to play multiplayer with friends who have Xbox 360s too. The OneGuide will get a revamp too. TV listings will now show instantly and in full-screen, and a picture-in-picture in mode will allow users to watch a programme whilst browsing for other content. Other changes include a new community section, a redesigned home screen and a more efficient guide. For more information on the updates, head to the Xbox website. British fashion house Burberry has become the first "global brand” to launch a dedicated channel on Apple Music. The new channel can be found in the Curators section on the streaming service, and will showcase Burberry’s collaborations with “emerging and iconic British artists". Burberry uses British music in all of its runway shows and Chief Creative and Chief Executive Officer Christopher Bailey said: “There are so many extraordinary British artists and it is a privilege to have the opportunity to work with them and showcase their incredible talent." The Burberry channel will launch with a series of exclusive videos from emerging artists such as Lilla Vargen, Georgie and Rhodes, as well as a live performance by Alison Moyet from the Burberry Womenswear show, to be held in London on 21st September. Tidal, the streaming service that offers CD-quality music for £19.99/month, is currently selling Prince's new album HITNRUN Phase One on physical CD format. The CD is available even for non-subscribers for a price of £22.11 including postage. The album was first released as an exclusive on Tidal's streaming platform, before making its way to iTunes, Amazon and Spotify. Tidal has previously offered a store function for artists to sell merchandise, but not for CDs. The Play BT has been designed to be portable and durable and as a result has a compact, robust casing. It features DAB/DAB+/FM tuners and built-in Bluetooth for wireless streaming from compatible devices. Up to eight devices can be paired and memorised. Sound is delivered through the built-in loudspeaker, which has a five position equaliser, along with bass and treble controls. Other features include a built-in rechargeable battery, auxiliary input and headphone output. The Roberts Play BT is available now for £100. Humax has teamed up with Netflix to give Humax box owners easy access to the video streaming service through the set-top box. Owners will be able to quickly switch between live broadcast, recordings and Internet TV. Humax says future remotes will feature a dedicated Netflix button. The update and new remotes are expected to be rolled out in the coming months. All eight cables from QED's Reference Series are now available to buy. The range is made up of XLR analogue and digital, analogue interconnect, optical digital, coaxial digital, subwoofer, HDMI, USB A-B and USB A-B Micro cables. The Reference Series cables range in price from £60 (0.3m Reference USB) to £200 (3.0m Reference Analogue XLR 40). For full details on the complete range, including the XT40 speaker cable, head to QED's website.